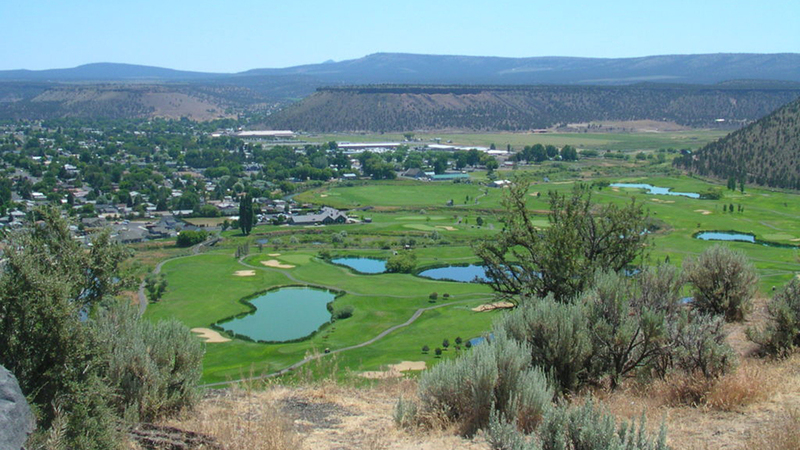 Situated in beautiful Prineville is Meadow Lakes Golf Course, a public course that is a pleasure to play for golfers of all abilities. Meadow Lakes’ terrain is relatively flat, making the course very walkable, and you’ll also enjoy gorgeous scenery as the course crosses the Crooked River four times. Designed by premier golf course architect Bill Robinson, it is a player friendly course with generous fairways, huge greens, and five sets of tees. But, it also offers plenty of challenges thanks to 9 ponds, 62 bunkers, and 5 different stands of trees. Meadow Lakes has proudly hosted a number of championships and classics and has been named one of the top three municipal golf courses in Oregon. Leagues and lessons are offered, and Meadow Lakes nurtures an early love of the game through its Junior Golf program. The course is not the only award winner you’ll find on this site; Meadow Lakes Restaurant is known as Central Oregon’s best golf restaurant. The delicious food coupled with a great atmosphere and spectacular views of the golf course, makes Meadow Lakes Restaurant one of Prineville’s premiere dining destinations for golfers and non-golfers alike. Meadow Lakes Golf Course operates seasonally so please check the website for current information.